Bohemian chic is created with this dramatic off the shoulder A-line wedding dress with flowing bishop sleeves. 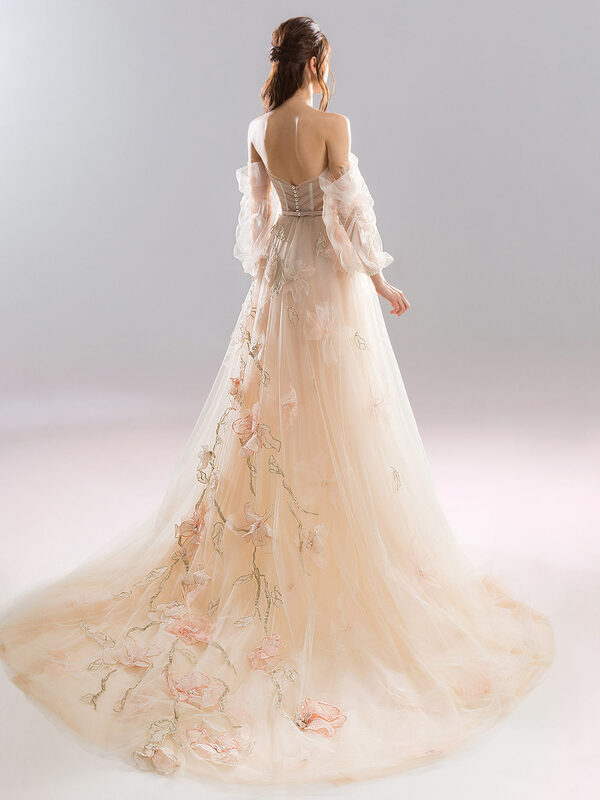 A sweetheart sheer bodice is covered with tulle and 3D floral appliques which cover the back of the skirt as well. The sleeves create a draping effect down from the neckline before the back is finished with small buttons.